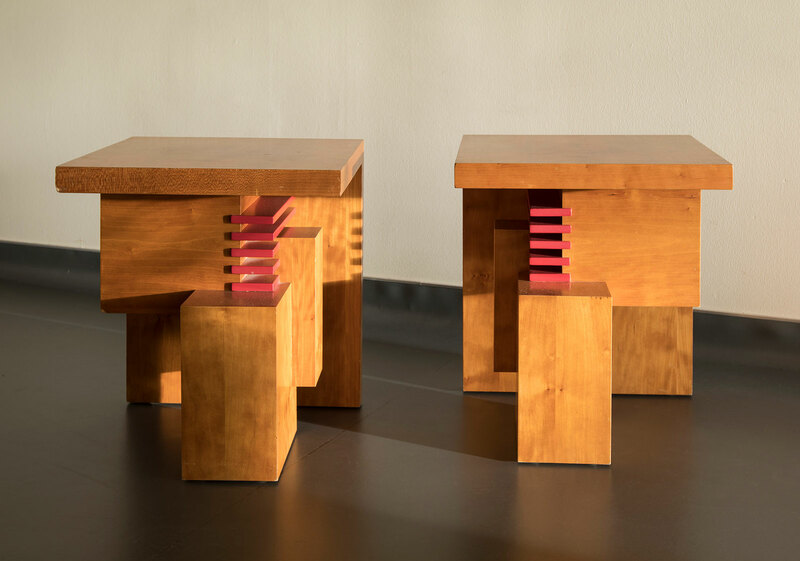 Constructivist End Tables. Wood, natural and lacquered, 18″H 16″W 16″ D. Custom wood species and lacquers available. As shown $3,250 apiece.